LESSON 2: What Do You Wear in the Snow? LESSON 4: What Would a Snowman Say? What Would a Snowman Say? Students will be able to narrate a single event by producing a single simple complete sentence. Filling in a simple speech bubble helps students practice narration skills. When all of the students are seated on their dot in the rug area I tell them they are going to rock around to the snowman rock. They will get to use their air guitars and move anyway they like so long as they keep control of their bodies. Anyone who I see does not have control of their body will be asked to move to the side and sit down until we are done. It is a very fun rocking song and I introduce the idea of rock and roll music to my students. I also have the students dance around to this song to get them in the mind set of the idea that your imagination can be used to create many different kinds of situations and even narrate imaginary conversations. I mean who has ever heard of a snowman rocking it out with an electric guitar? After the song is done I have the students sit back down on their spots by singing the "Spot on Your Dot" song. I slowly turn the pages of the book admiring the illustrations as we go. It does not take long, two or three pages, before the students begin to ask where the words are. “For example on this page (I point to the first page where the little boy wakes up excited and wants to go out) I hear the little boy saying, “Oh boy! Oh boy! It snowed! I am soooo going out to play in it! I have to put on my clothes super fast to get out there!”” I read it in an excited voice just as if I were the little boy. Most of the students will nod their heads. A few maybe confused but they will catch on as they watch their peers take part. I use the fair sticks to select students to make up dialogue for the story. Some students do not want to take part and that is okay. I can tell my more imaginative students because they react very enthusiastically when it is their turn and they make up long elaborate dialogues and descriptions. I hate to cut them short but I need to so that I do not lose the rest of the audience’s attention. I use this story because I want my students to become comfortable with creating dialogue which is something they will need to be able to do in order to complete the lesson activity. At the end of the story I ask the students what they thought about the book. I select two or three students who are following the correct protocol to respond to the question. I only select a few students to share their opinion because I do not want to lose my audiences attention. "It is interesting to note that while we looked through this book several of you came up with some interesting dialogue while you narrated the story for us. Do not not worry if you did not get a turn narrating the story because at one of the stations today you will be creating a single narratioin for a snowman." "You will each get a sheet that looks like this one (I hold up a sample of the sheet they will get) and it will be your job to think of something for your snowman to say." “Once you have thought of a sentence for your snowman to say you will then write it in the speech bubble. Does anyone know what a speech bubble is?” Why a single narration? I select a student who is following the proper protocol to respond to the question. “That’s right Finnley it is basically a circle around the words. Usually the circle has a point sticking out of it towards the speaker so the reader knows who is doing the talking. Speech bubbles are used in books that are written in a comic book style of writing much like this one.” I hold up a sample. My favorite one to use is Calvin and Hobbes. I read a page to the students. “We have also seen speech bubbles in some of our science books and even in the Magic School Bus series of books.” I hold up samples for the students to see. 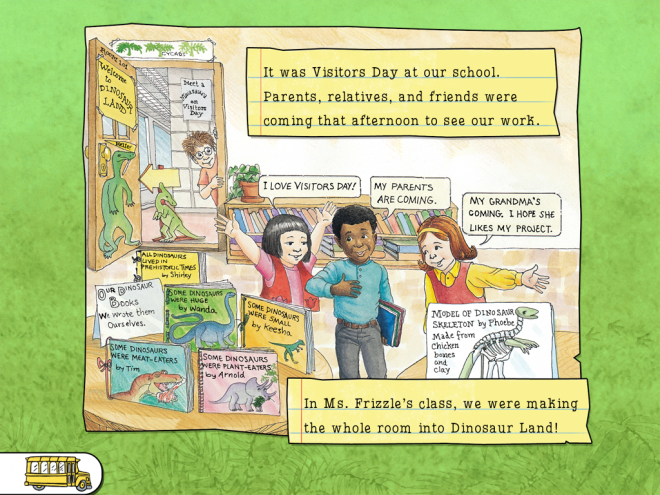 I use the Magic School Bus book pages and I also show a few pages from our recently read, What Is the World Made Of? All About Solids, Liquids and Gases by Paul Meisel. I point to and read the speech bubbles to the students. Reading the speech bubbles to the students shows them how the sentence in the bubble relates to the character in that moment and time in the book. “Here is the checklist for this assignment.” I read over the checklist with the students. “Table number one let’s go have some snowman poem fun. Environment of Learning - student creativity. Once the students are seated I tell them that their exit slip for today is to read their snowman work to the rest of the group. "Boys and girls, your exit ticket for today is to read the work you just completed to the rest of the class. Do not worry if you have not completed your work because you can just say pass and we will hear your work when you have completed it this afternoon." "Now I want to ask you a question. If I am reading my work to the class as a group what sort of things should I remember?" Look out at my audience. "Those were all great responses. Now what is my job as the audience?" "Great work remembering our listening skills. Now I am going to use the fair sticks to see who is going to go first. Remember to say pass if you do not have your work here in the finished work bin." Once a student has read their work to the rest of the group, they are able to use the hand sanitizer and go to get their snack. If a student is unable to read their own work they know they can do one of two things. They can wait until everyone else has gone and then we will work on reading the narration together. This is a good way to close out the activity part of the lesson because the students really want to share their work with their peers - especially if they think they have written something particularly funny (Sometimes I have trouble seeing the humor in five year old jokes, but the others think it is hilarious). 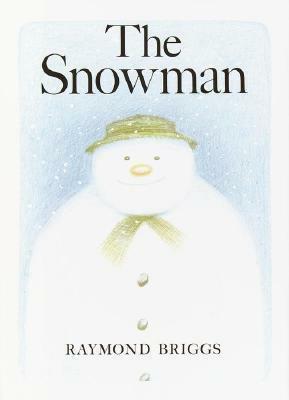 I use the My Snowman Says Checklist to go over the sentence and once it is complete I will place the student’s work in his/her collection portfolio. Looking at the student’s work with the checklist helps me to stay focused on the point that I am looking to see if a student can come up with a single narration. The narration should make sense; in other words the audience should be able to understand it. I also check to see what kind of writing skills the student used to complete the task. Did they use inventive spelling, dictation, or copy something out of a book? I also make comment on how neat and tidy the work is. The checklist helps me because the work sample provides me with evidence of students learning as to whether the student met the objectives or not. The checklist helps to convey information to the student’s family as to how well they are doing in class, and finally it helps the student by letting him/her know how he/she did and if there are areas where he/she could improve. At one station the students’ will work on coming up with three cold words and one hot word to complete a poem prompt. The words can be adjectives, nouns or verbs. At another station the students’ will play a subtraction game pretending they are in a snowball fight with other students. The game is a Freebie download from the TeachersPayTeachers website. At another station the students select either a rectangle or a circle shape and use adjectives to describe the attributes of the selected shape. Later on in the day we would watch the movie version of The Snowman on the SMARTBoard. The movie version has no words only music so it supports the lesson nicely.